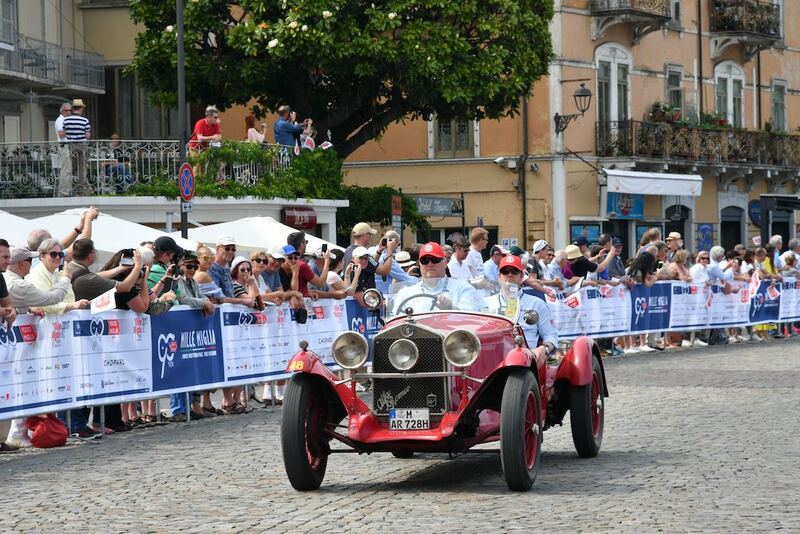 The Mille Miglia 2017 was held 18-21 May over 1,600 km (1,000 miles) of Italy’s most beautiful regions. From 1927 to 1957, the Mille Miglia was one of the world’s great road races, and the combination of scenery and history associated with it have made the modern iteration a heavenly highlight of the vintage racing season. 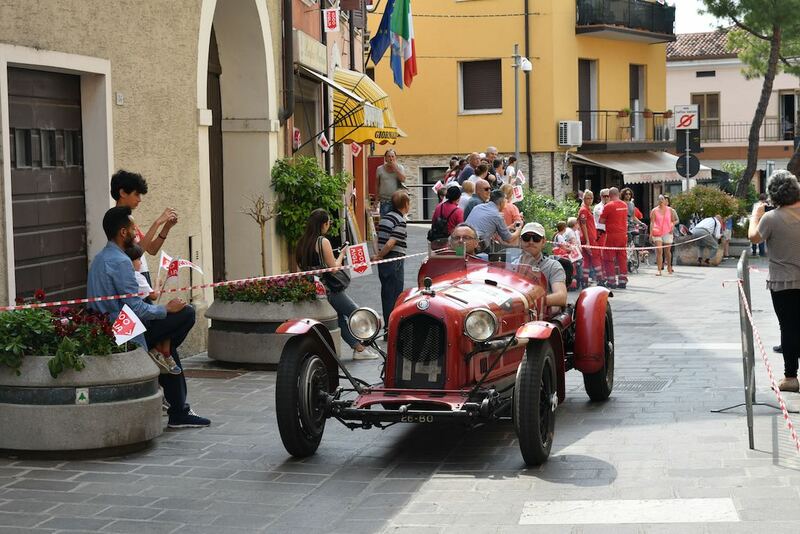 This year’s 1000 Miglia — the 90th anniversary of the race — took participants along a ride between historic villages, following an itinerary which although featuring some variations with respect to the previous editions, kept with the tracks of the twenty-four original races. 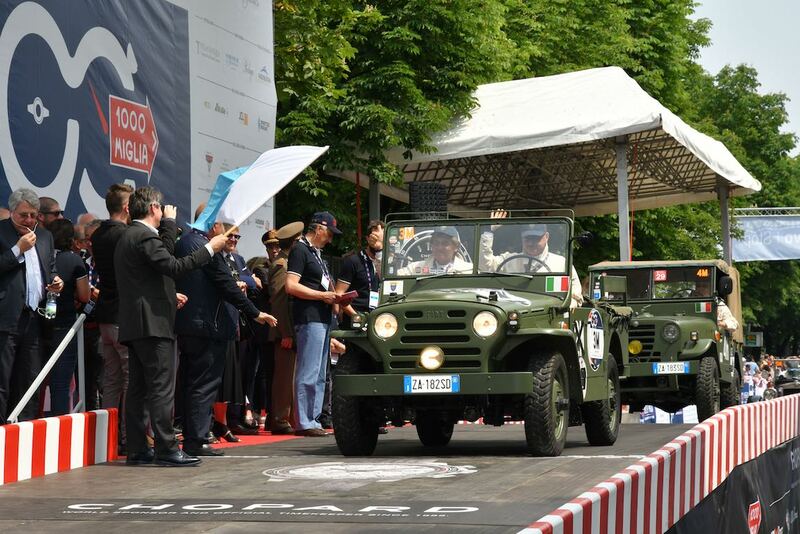 Now in its 35th year, the historical retrospective of the Mille Miglia saw a great field of 450 historical automobiles commemorate the legendary endurance road race. 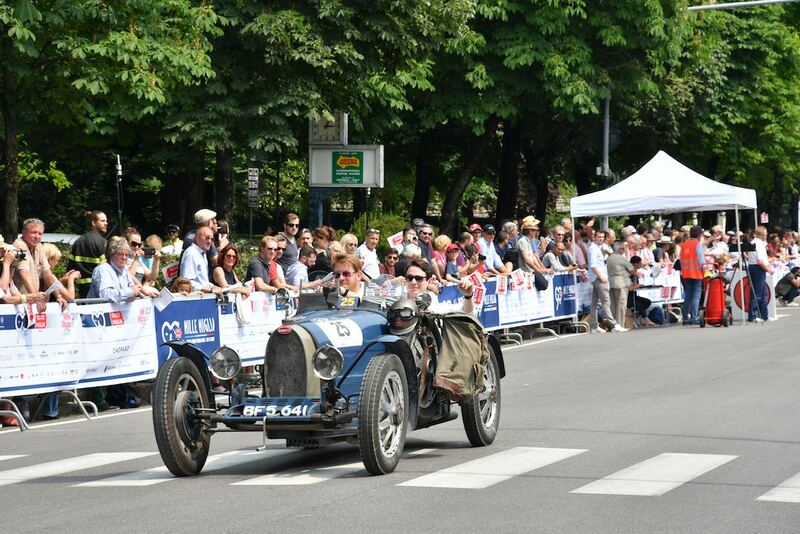 Keeping with tradition, the Mille Miglia 2017 started and ended in Brescia, having crossed some of the most striking locations in Italy, with the turning point in Rome. 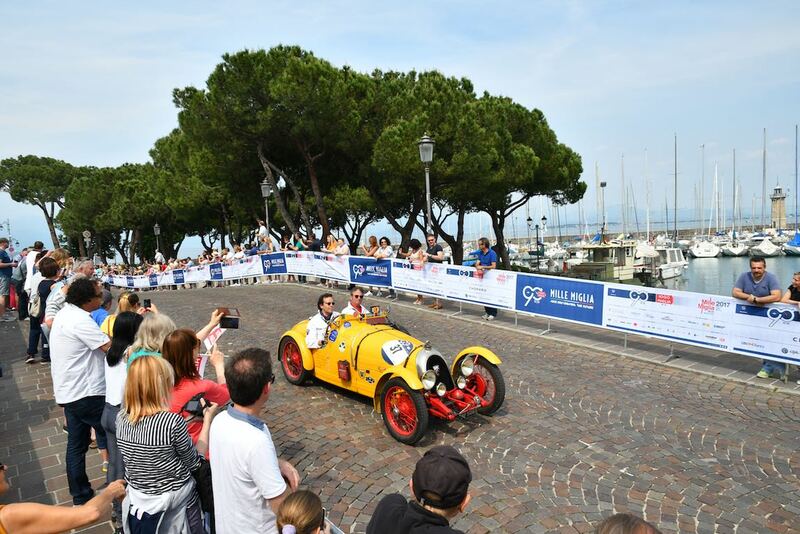 Three superb cars from the Alfa Romeo Museum, the 6C 1750 Gran Sport (1930), the 6C 2300 Mille Miglia (1938) and the 1900 Super Sprint (1956), participated in this year’s event. The original race was won by Alfa Romeo no less than eleven times: a record that can never be beaten. BMW Group Classic sent six cars from its collection to line up at the start. The BMW contingent included the 328 Berlin-Rome Touring Roadster built in 1937 and a 328 Mille Miglia Roadster from 1939. 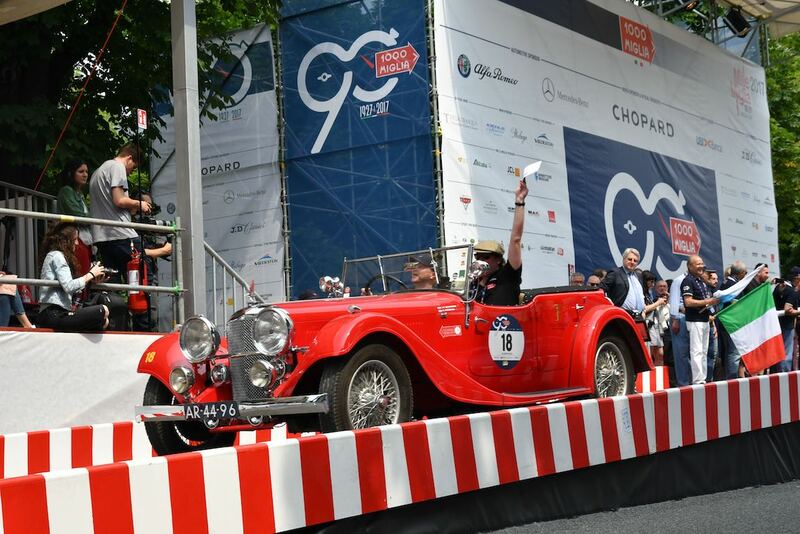 To celebrate the landmark 90th anniversary of the Mille Miglia, Mercedes-Benz Classic entered ten vehicles, such as a SSK from 1928 and a 300 SL W 194 from 1952. 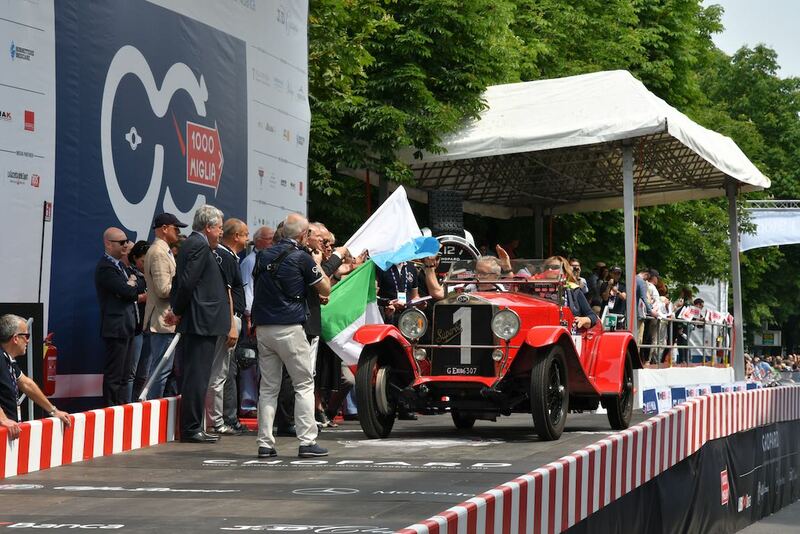 Following up their 2016 victory, the 1930 Alfa Romeo 6C 1750 Gran Sport Zagato of Andrea Vesco and Andrea Guerini won the 2017 running of the Mille Miglia. 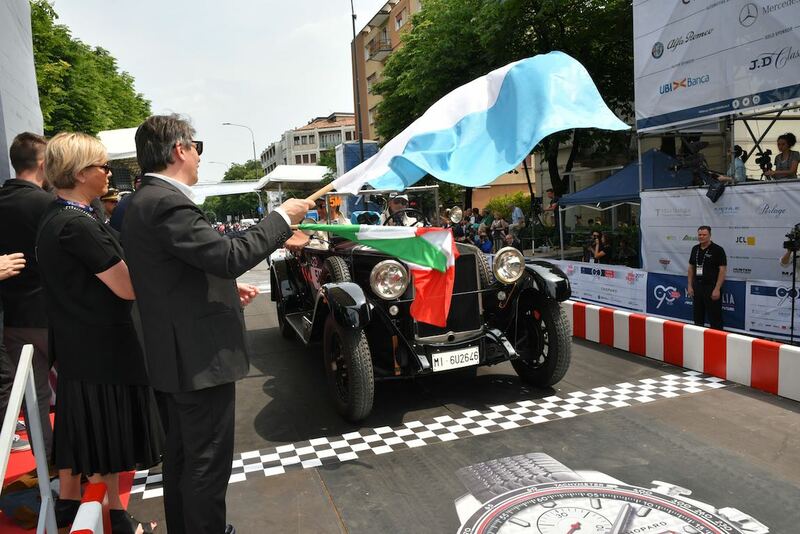 The well-known Brescia couple were again followed on the podium by Luca Patron and Massimo Casale in a 1925 O.M. 665 Superba Sport 2000 CC and the 1933 Alfa Romeo 6C 1500 Gran Sport of Giordano Mozzi and Stefania Biacca. Similar to 2010, 2011, 2012, 2013, 2014, 2015 and 2016, Sports Car Digest also documented the 2017 Mille Miglia Rally with the following picture gallery that highlights the incredible warmth experienced by the field of entrants from the Italian fans. The pictorial coverage was fantastic. I almost felt that I was there at the race. I’ve always been fascinated by this annual race and after seeing these pictures I’m adding this to my “bucket list”. As always, your pictures make me feel as though I am right in the middle of this event. Kept looking for an another shot of the little red TR3 peeking out from a tunnel…….. Outstanding photos. Would be nice to have the names of the participants in the photos.